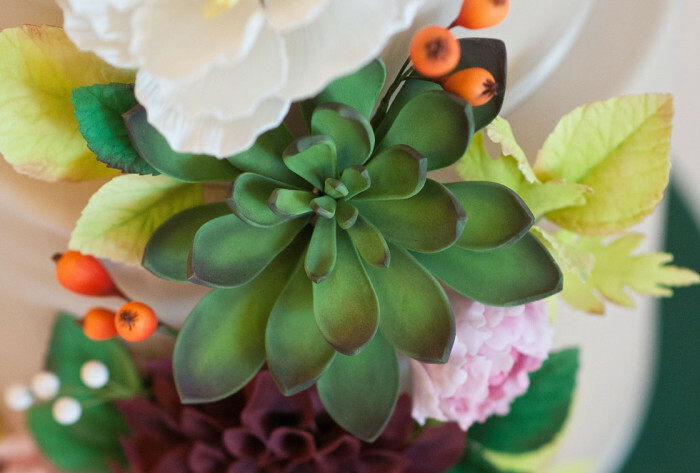 Jade is earthy, bold, and unlike any other. 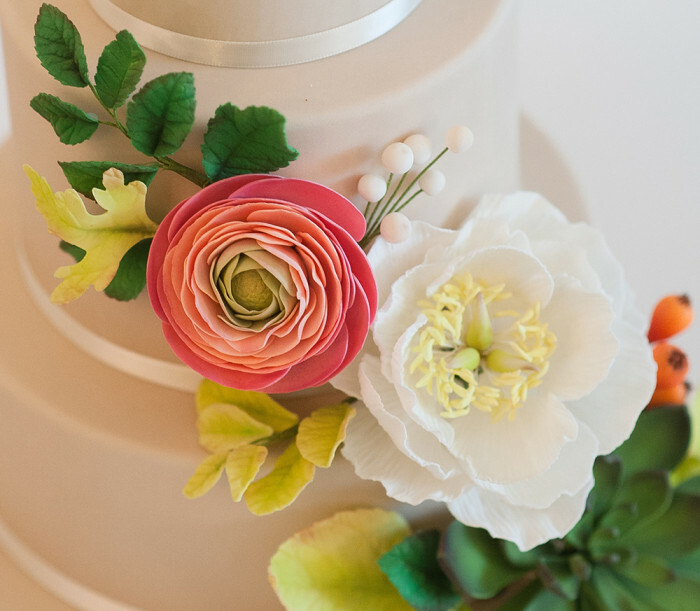 Vibrant, sugar flower blooms full of color and texture are what this design is all about. 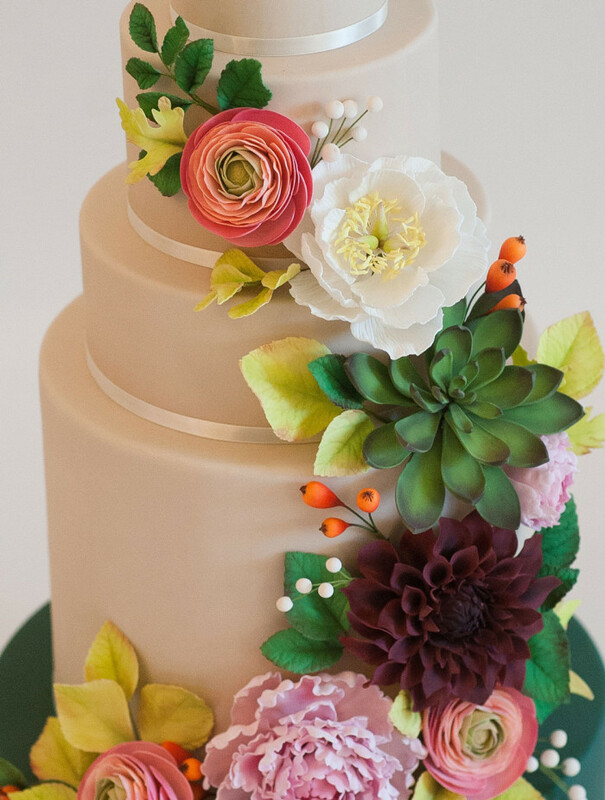 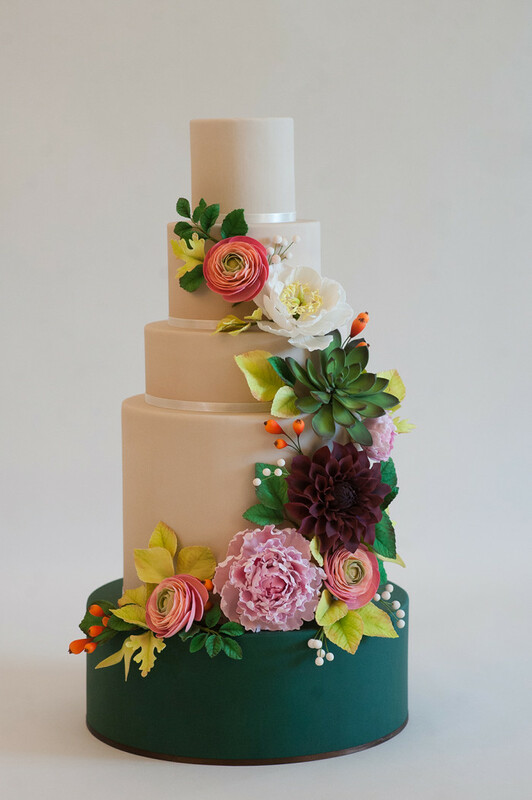 Handmade sugar flowers include pink ranunculus, a deep maroon dahlia, a green succulent, pale pink peonies, a white open stylized bloom, and orange and white berries were all meant to go together in a half-moon shaped cascade. 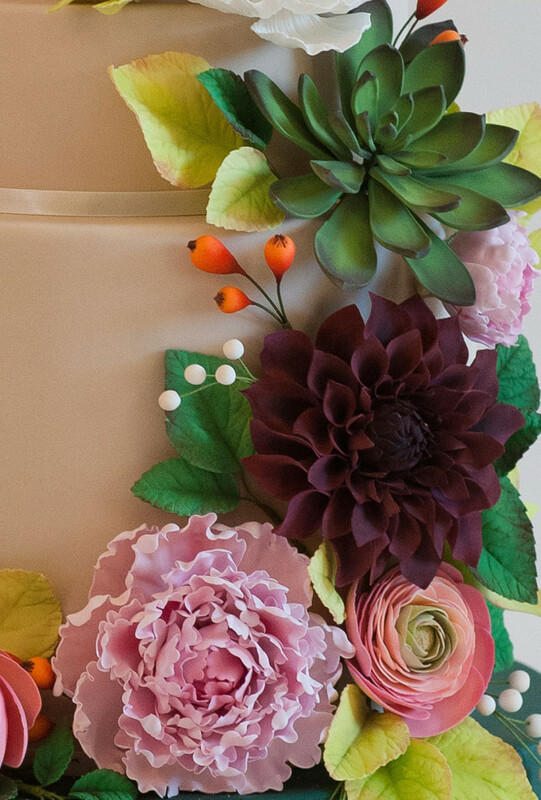 Jade is for the Bride who is unique, bold and lively.